Jesus Christ on a bicycle I LOVE THIS! Lots of Swedes have mangers in their home during Christmas, as decorations. In Sweden they are called “Krubba” , like Crib I presume. But I have never seen one as handsome as this modern one in Sara and Kristians home. Just like on the previous projects Sara and Kristian started out with a sketch and then Kristian made it from left over mdf board. They added a modern sheep herder and painted the animals with gold spray paint (From montana, just like my robots) And then they were ready to offer Jesus and his folks shelter. This was also featured over at The House That Lars Built Christmas Special. I´ve photographed more of their projects. See Saras Gingerbread Train here and her Gingerbread wolves here. Synopsis: I have visited Sara and Kristian´s home twice. 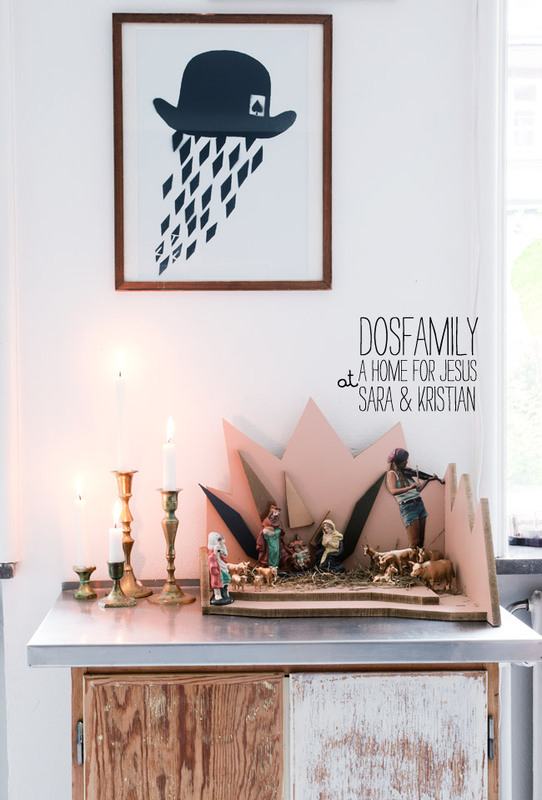 Once for Dosfamily and once as a Christmas home for the magazine Family Living. They are such a fun and creative family and I want to go there all the time to document their cool projects. And see the home tour I did from their home here!